Note: It is currently at it's lowest price in the last 6 months! 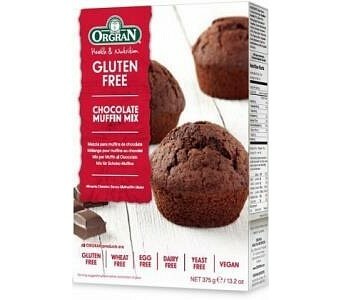 Orgran Chocolate Muffin Mix is a quality product produced from natural ingredients and is naturally wheat free and gluten free. This product is easy to prepare and being totally vegetable based, also allows you the option to prepare muffins that are 97% fat free, dairy free, egg free and suitable for vegans. 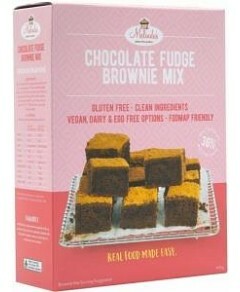 Ingredients: Raw Sugar, Rice Flour, Maize Flour, Potato Starch, Maize Starch, Yellow Pea Flour, Cocoa Powder (4%), Dextrose from Maize, Raising Agents: Sodium Bicarbonate, Monocalcium Phosphate, Calcium Carbonate. Emulsifier: Vegetable derived Monoglycerides. Tapioca Starch, Natural Vanilla Flavour, Salt, Vegetable Gums (Stabilisers): Guar Gum, Carboxymethylcellulose, Carrageenan, Methylcellulose. Acidity Regulator: Citric Acid.